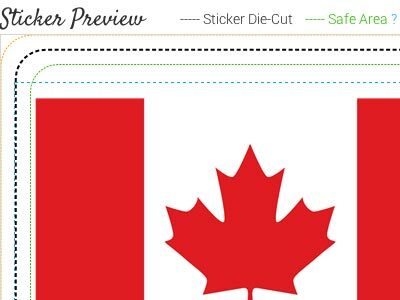 A die-cut is the outline around a sticker in which it will peel off. The die-cut is displayed as a black dotted line around the sticker image. Currently, StickerYou offers standard die-cuts which allows the peeled sticker to be in the shape of a rectangle, rounded rectangle, or oval; or a custom die-cut forming an outline around the shape of your image.